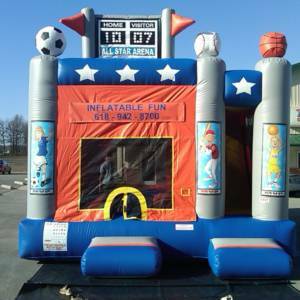 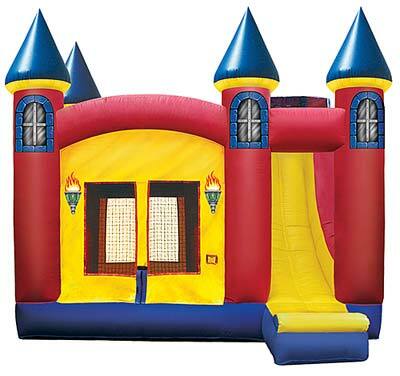 Excalibur Combo: Our Excalibur combos offer 140 square feet of bouncing area and also included a Basketball Hoop to give the kids another fun activity inside. 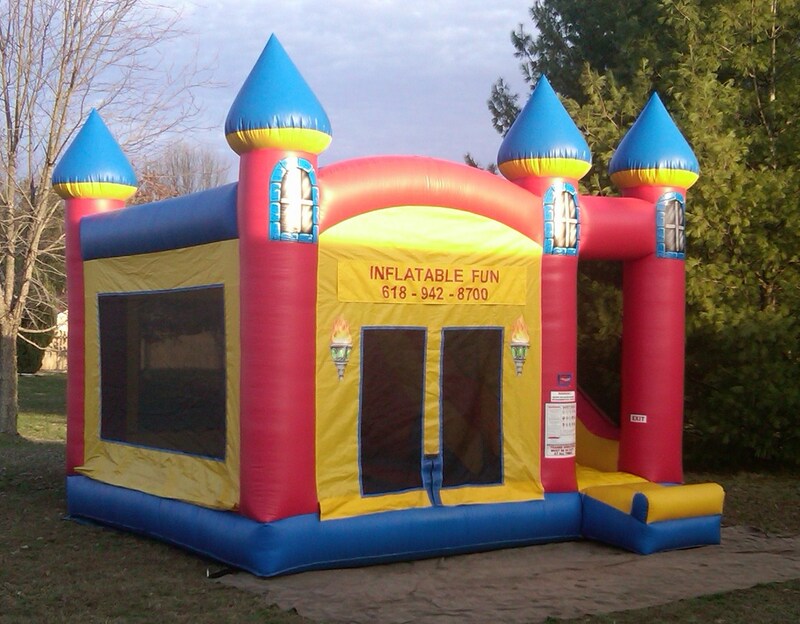 Top that off with a 13′ slide with a 50 degree sliding angle! 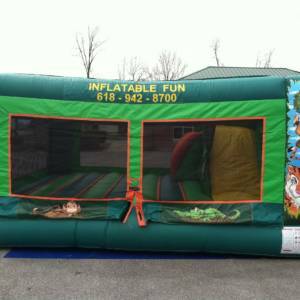 There is also a completely enclosed sun screened mesh cage over the entire top and sides of the slide keeping kids in and the sun out. 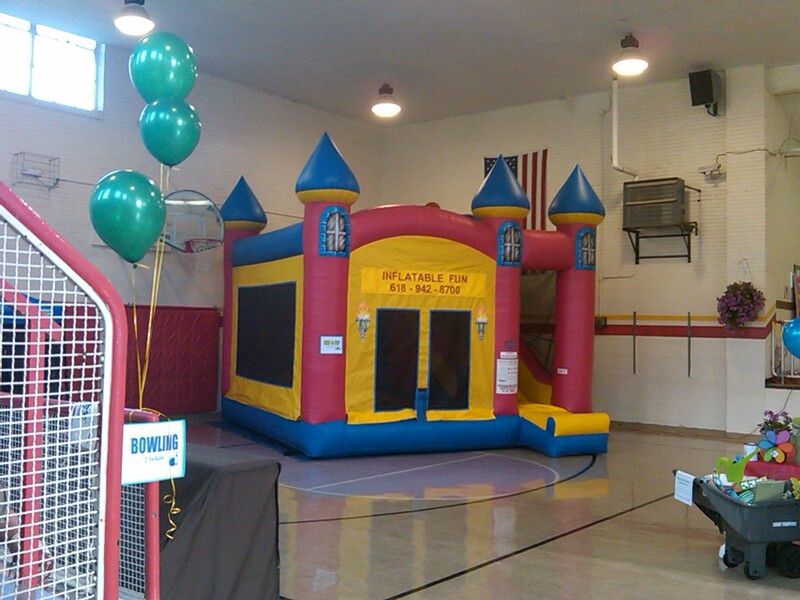 In addition, there is no room for standing at the top of the slide preventing accidents or mishaps. 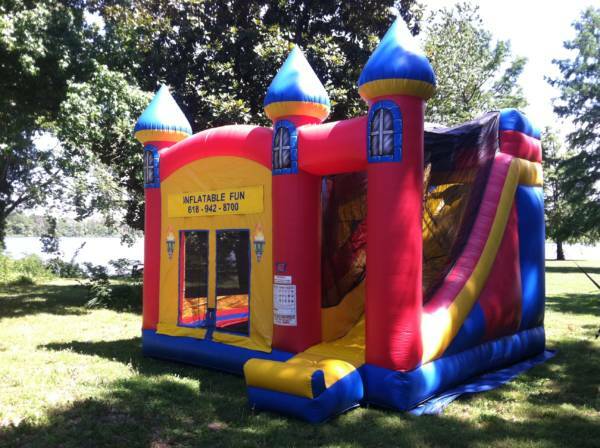 It’s the best of both worlds – jumping, sliding, fun for all! Excalibur Combo: Our Excalibur combos offer 140 square feet of bouncing area and also included a Basketball Hoop to give the kids another fun activity inside. Top that off with a 13′ slide with a 50 degree sliding angle! 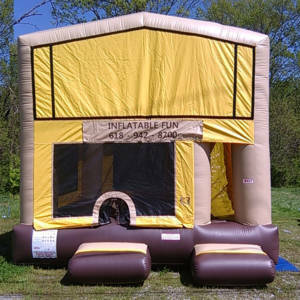 There is also a completely enclosed sunscreened mesh cage over the entire top and sides of the slide keeping kids in and the sun out. 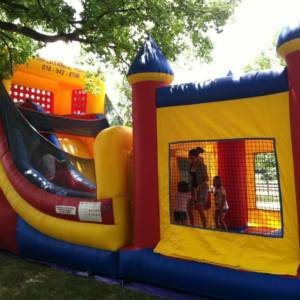 In addition, there is no room for standing at the top of the slide preventing accidents or mishaps. 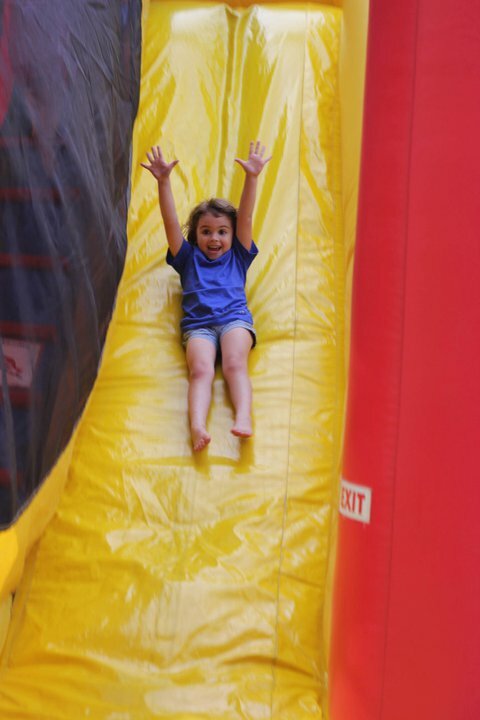 It’s the best of both worlds – jumping, sliding, fun for all!